You cannot add "Issue 37 (September 2016)" to the cart because the product is out of stock. ISSUEE 39 is READY FOR YOU NOW! 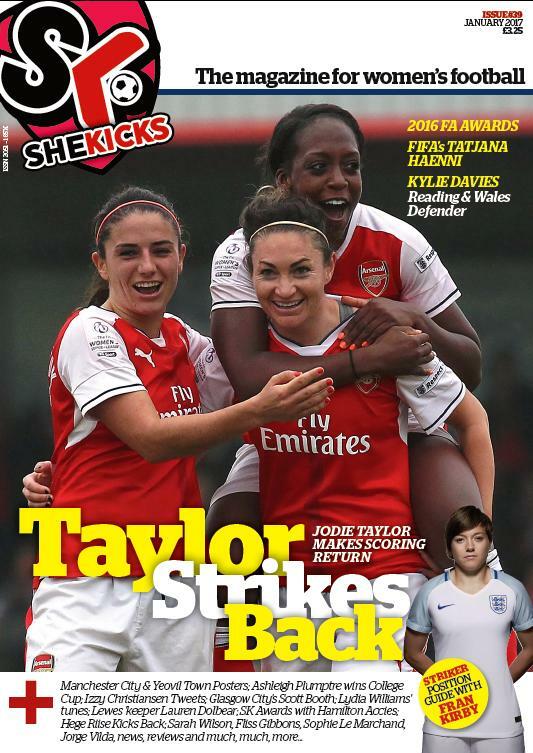 England and Arsenal striker Jodie Taylor talks about her scoring returns for club and country and Kylie Davies reveals why she will take a break from Reading and Wales action, and we check in with some of the winners at the FA’s Annual Awards. Tatjana Haenni, FIFA’s Head of Women’s Competitions, discusses how she sees the development of the global game and some of the work that the world’s governing body is doing in that area. 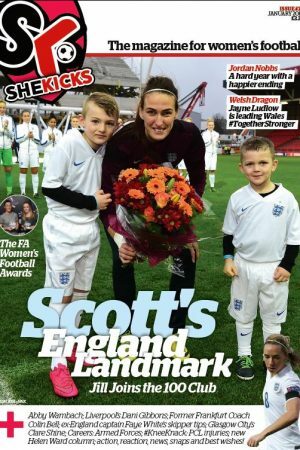 Fran Kirby takes us through the role of the striker in our Position by Position series, Izzy Christiansen tweets back, we hear from Ashleigh Plumptre on her College Cup success and Scott Booth opens up about coaching the Scottish Champions. 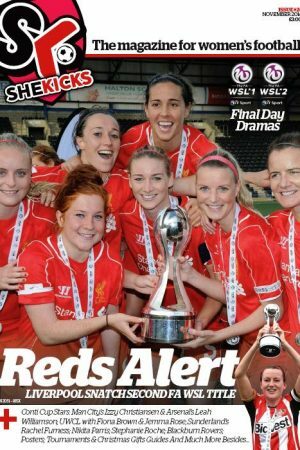 We look back with one of the game’s greats, Norway’s Hege Riise, and check in with Lewes stopper Lauren Dolbear, Orient’s hot shot Sophie Le Marchand and Durham skipper Sarah Wilson. You, dear readers, tell us about your top bits of last year and what you’re looking forward to in 2017, Hamilton Academicals tell us who would win what in our fun SK Awards, Anna Signeul and Spain coach Jorge Vilda react to the Euro 2017 draw and Matildas keeper outlines her top tunes. Enough?